Ace Hood woke up at the wrong end in a “Bugatti,” the lead single off his forthcoming Trials & Tribulations album. The YMCMB MC is on the run in the cinematic video directed by Gil Green. 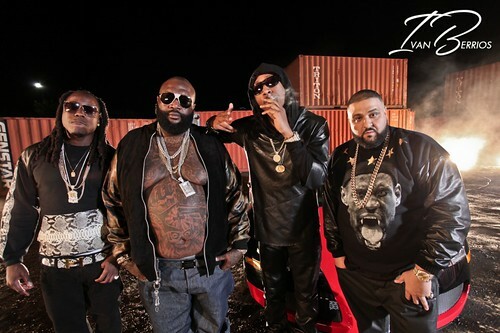 Once he shakes his assailants, it’s back to business as Ace catches up with co-stars Rick Ross, Future and DJ Khaled who are backed by the Haitian massive. Ace Hood’s fifth solo album, arrives later this year via YMCMB/We the Best/Universal. Watch “Bugatti,” plus Ace’s visit to Hot 97’s Funkmaster Flex and BET’s 106 & Park after the jump…..
Ace’s promo day began at BET’s 106 & Park on Wednesday. Not only did he premiere the video for “Bugatti,” he also spoke on his Starvation 2 mixtape, and Trials & Tribulations album.